On 18th June, Eyedentity Games Inc. (CEO, Dong Hae Jeon) announced that action RPG new Dungeon Striker service started. Eyedentity Games Inc. finished its final preparation through second CBT (closed beta test) and user meeting with Taiwan’s largest publisher Game Flier (CEO, Young Il, Im) and began its official service on 17th. During the first CBT(on 30th April~3rd, May), and second CBT(on 2nd June ~ 7th June), this game has been favorably evaluated, as reconnection ration was increased more than by 70%, and average play time was reached at 4 hour and 20 minutes. In ahead of official service, Eyedentity Games Inc. and Game Flier devoted their all energy to perform localization and pre-public relation. Eyedentity Games Inc. produced Taiwan user specific item as well as significantly supplemented rapid growth section and battle contents according to the Taiwan user’s national trait. Game Flier initiated intensive marketing campaign and aired advertisement based on various internet portal sites and TV channels and promoted outdoor advertising in the main street of Taiwan. Young il Im, CEO of Game Flier, revealed that "We are very glad to finish CBT in great success. 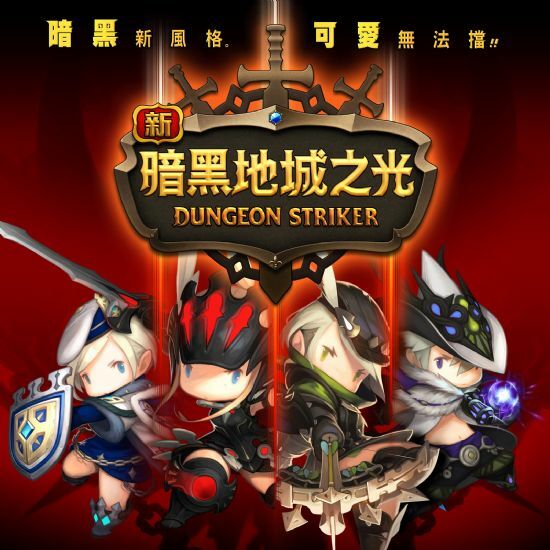 We also wish more users can enjoy with completely reinforced New Dungeon Striker official service." Dong Hae Jeon, CEO of Eyedentity Games Inc., says "we expect the launch in Taiwan will be successful, since we work with Game Flier who had full infra and service know how. In order to captivate Taiwan user’s interest, we will give full support continuously."